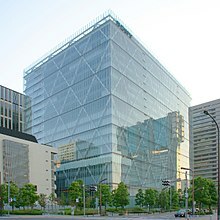 Sony Corporation (ソニー株式会社, Sonī Kabushiki Gaisha), commonly referred tae as Sony, is a Japanese multinational conglomerate corporation heidquartert in Kōnan Minato, Tokyo, Japan. ↑ 1.0 1.1 "Sony Global – Corporate Information". Retrieved 27 March 2014. ↑ 2.0 2.1 2.2 2.3 2.4 "Consolidated financial results for the fiscal year ended March 2016, Sony Corporation" (PDF). This page wis last eeditit on 15 August 2017, at 17:03.